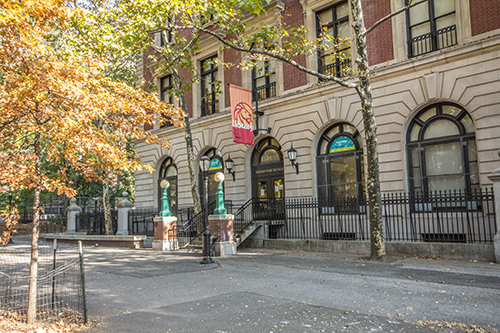 The Seward Park Branch of The New York Public Library is one of 65 branches erected with funds given to New York City by Andrew Carnegie. A four-story, red brick, Renaissance Revival building with high ceilings and arched windows, the branch is located at the eastern edge of the park for which it is named. 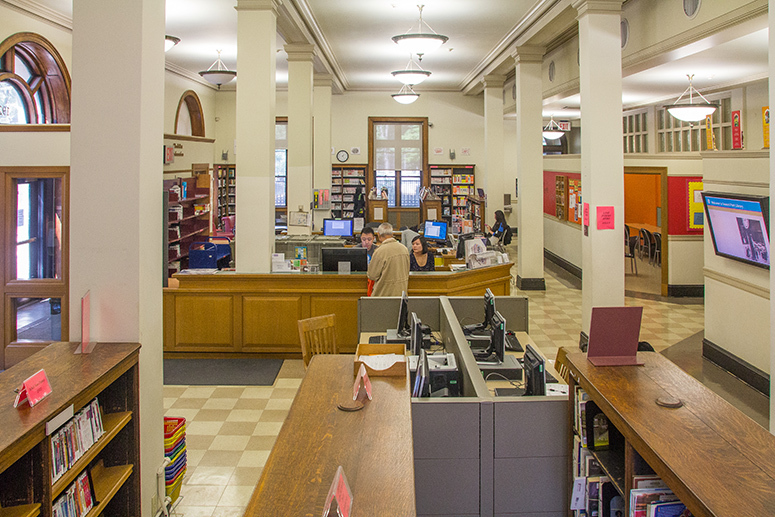 The branch’s origins can be traced to 1886, when the Aguilar Free Library Society opened several libraries, including what would become the Seward Park Branch. The library, designed by the firm Babb, Cook & Welch, opened its doors on November 11, 1909. The building houses adult, reference, and young adult collections on the third floor; a children’s room on the second floor; adult, media, and world language collections on the first floor; and a literacy center on the lower level. In its first renovation since 1953, the branch reopened in 2004 with a restored exterior and interior, central air-conditioning, new technology infrastructure and computers, and ramps and an elevator that comply with the Americans with Disabilities Act, among myriad other improvements. In its early days, the Seward Park Branch served an immigrant Jewish population. Today, the community is home to a mixture of Jews, Hispanics, African-Americans, and a growing Asian population.